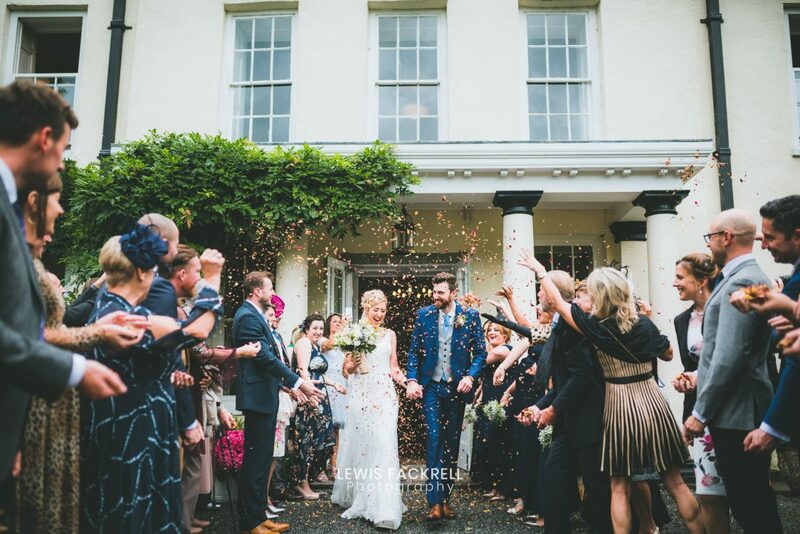 Plas Glansevin in Carmarthenshire was held the super fantastic, wedding celebrations of Rhi & Ollie in August which had tons of Harry Potter and F.R.I.E.N.D.S. references around the place surrounded by their closest family and friends in the most intimate venue in the middle of nowhere, what a wedding! Blimey, where do I even start! Well, I could say that I almost couldn’t make their wedding at Plas Glansevin due to a cycling accident. But that’s another story! Thankfully though I was fit enough to capture the celebrations of what is arguably the wedding of the year! The Grade II listed Georgian mansion of Plas Glansevin hosted the wedding celebrations all weekend and what a way to do it! Arriving to find Rhi in the hot seat having her hair made up with the bridesmaids having their make-up put on. There was such a buzz already. Having known Rhi for many years since she’s an artiste booker at the ‘extras’ agency Im part of. A few of her bridesmaids are also via the agency. It was great to instantly have a rapport and connection with them too through the morning and the rest of the wedding day. Ollie the groom getting ready a few doors down around the corridor. 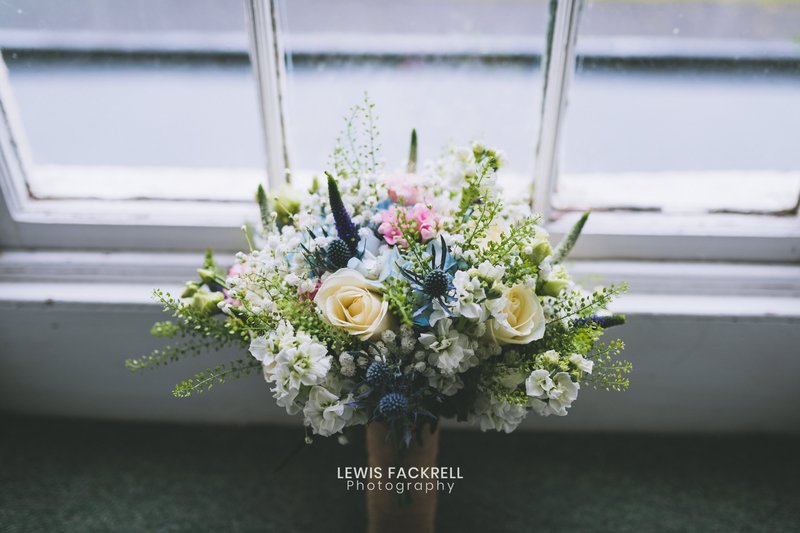 I walked into the room where he was arranging the wedding playlist on Spotify in his underwear along with his groomsmen, his brother Jake also in his underwear, finalising his speech in the corridor. They soon set out the playlist and the suits hung ready to be worn. The stunning sounds of the mixed choir singing at the back of the hall. The room packed, filled with guests awaiting the entrance of the bride as she is walked down the aisle by her father Steve, beaming with pride. With Ollie nervously waiting at the front and his brother by his side. The ceremony was packed full of character, muggles and tons of magical moments… When two people are so in love it’s hard to hide, Rhi & Ollie both couldn’t stop smiling while experiencing the excitement of it all! The rings were exchanged over the chapter ‘The Unbreakable Vow’ from the Harry Potter book which formed part of their wedding theme. Although the ceremony was held inside, it was meant to be out on the lawn under the summer sun. Sadly we lacked the sun which was exchanged for rain all day instead. We were all super thankful too that the weather cleared up so that canapés and prosecco could be enjoyed outside! With Rhi’s excellent planning skills, she had prepared a bucket load of dried flowers for the confetti. I’ve never seen so much of it. It was an explosion of colour and it made for epic photos of their exit from Plas Glansevin to their guests, poised and prepped to plaster the newly married couple! Wedding photography goals right there, can’t beat a solid 10/10 confetti tunnel! Due to the unpredictable nature of the weather we risked heading out for 10 minutes for some brief portraits… It rained like cats and dogs but Rhi & Ollie embraced it and nailed their session ahead of their entrance into the wedding breakfast where their guests cheered and roared as they found their seats. An emotional speech from Jake. Overwhelmed by pride and joy at his older brother becoming married. Read out were some fantastic stories told from each of their childhoods. Sincere and emotional speeches are just stunning to photograph. Often the wedding speeches can be the most delicate part of the wedding. Precious moments are exposed and emotions are heightened. Their wedding was a perfect example of this. It was a pleasure to document the closeness of their bond as “Two be Cullen one”. ( I promised Rhi their genius tag line would make it into the blog). Their wedding was the gift that just kept on giving. The weather easing up again. A fantastic Jazz band played during ‘cocktail hour’ all the best movie classics including the E.T. theme tune … Fricking E.T. – Amazingggg! We were able to quickly sneak off for 10 more minutes to continue the portraits from earlier amongst the fallen branches of the featured tree on the lawn of the mansion, just like their pre-wedding photo session they absolutely nailed it again! The one with evening reception and all THAT dancing!